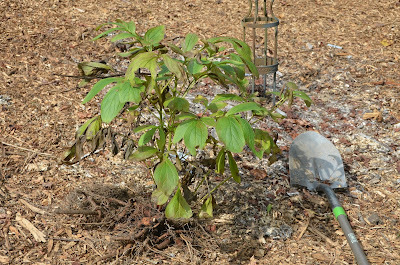 This fall my Southern Peonies are moving - well, not all of them, but quite a few of them. 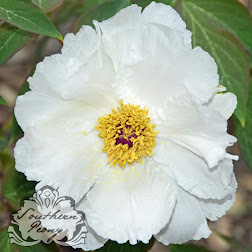 Many of these beauties are or were planted near the perimeter of my yard, which is lined with forest on three sides. There is also a giant oak tree in my back yard, that has grown from a cute, shorter than me, don't cut that hardwood tree down INTO a taller than my 2 story house, eating all of my sun, three trunked monster in just 13 years. I have already moved lots of peonies this past weekend, and I plan to move many more in the coming weeks. 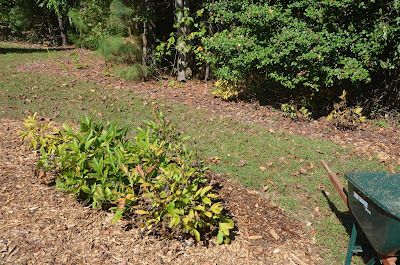 I moved Peonies 'Command Performance', 'Dinner Plate', 'Lorelei', 'Pink Parfait', and 'Vivid Rose' from the perimeter of the woods to the center of my original peony garden - first planted in 2003 - a much sunnier locale. 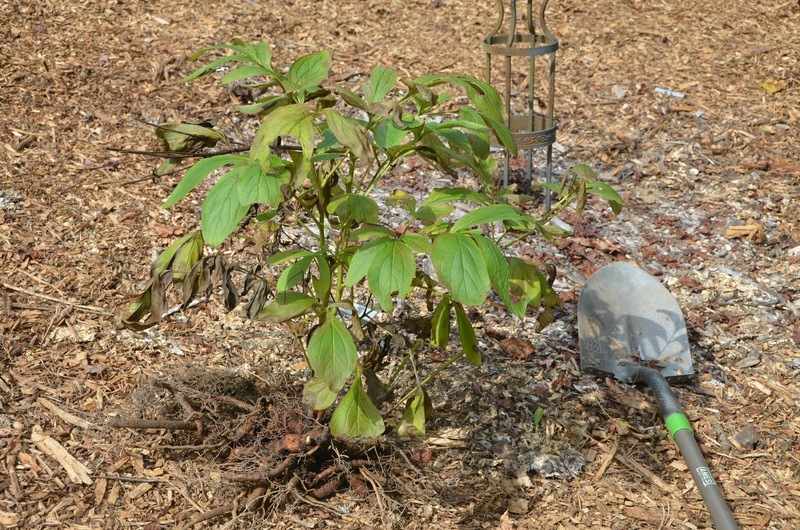 I have also moved two Peony 'Muskoka's? to right beside of my deck. These red and yellow anemone style peonies are obviously misnamed, but they are gorgeous and very floriferous. I think they might be Peony 'Nippon Beauty'. They were growing under hot pink crepe myrtle bushes that have now matured into trees. They went from 25+ blooms each to now only a couple blooms each. I'm sure they will be much happier near my deck. So basically the moral of this story is - plant your peonies in the middle of your yard, the sunniest spot, with the best moisture, not the edge (unless the edge has no trees!) 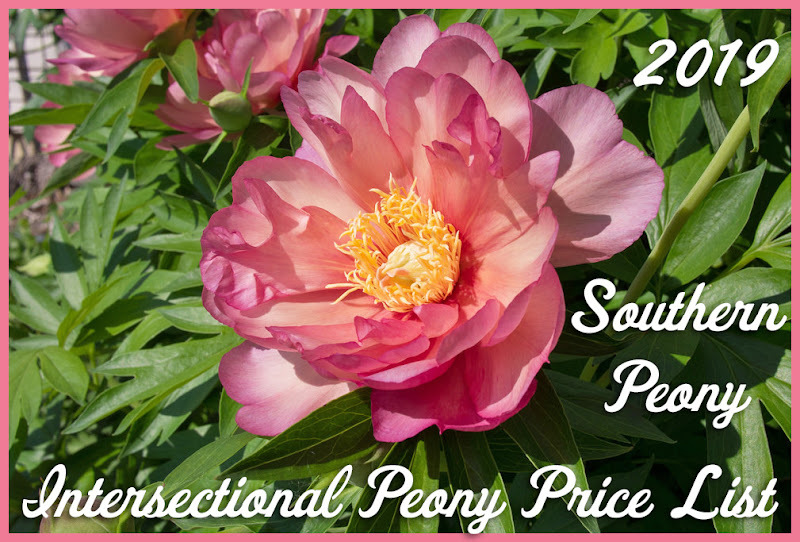 :-) Happy Peony Planting!